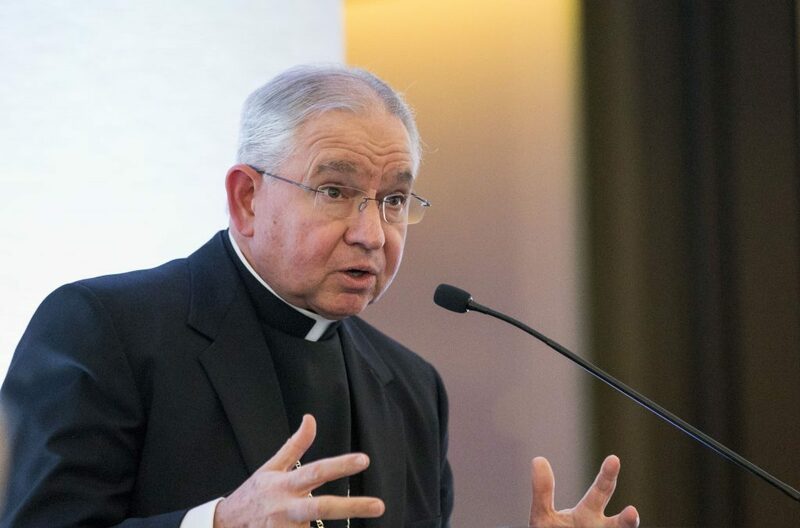 In an announcement Monday, April 16th, the university announced Archbishop of Los Angeles José Gomez as the commencement speaker for this year’s graduation ceremonies. Gomez will address the class of 2018 at Catholic’s 129th annual Commencement Ceremony on May 12th. Gomez, who will receive an honorary fine arts doctoral degree, currently serves as archbishop of the largest archdiocese in the United States and as the vice president of the United States Conference of Catholic Bishops (USCCB). Born in Monterrey, Mexico, he has been a prominent supporter on behalf of immigrants, encouraging Catholics to advocate for an extension to the Deferred Action for Childhood Arrivals (DACA) program in recent months. Gomez is a member of Catholic’s Board of Trustees, and will be the first clergy member to deliver the commencement address since Cardinal Timothy Dolan spoke to the class of 2012. In the announcement, university President John Garvey expressed delight in the prospect of the archbishop speaking to this year’s graduates. The announcement was met with varying reactions from the senior class of 2018. Some are excited to hear the archbishop’s inspiring story and message, and others seem a bit underwhelmed at the choice. Senior politics major Zanas Talley is happy that a leader and man of faith will address the graduating class. On the other hand, senior Brianna Howard feels that many seniors were hoping for a bigger name to come and speak this year. Last March, Gomez spoke on the topic of immigration at a CUA on Tap event sponsored by Campus Ministry. Having been a U.S. citizen since 1995, he noted how personal an issue it is for his family. The choice comes during a year in which the university has shown much support for foreign students and those potentially affected by DACA. Last September, Garvey issued a statement responding to the ending of the DACA program, noting that elimination without comprehensive reform would be a serious harm to the country and the thousands affected. Then last November, the university decided to waive a semester’s worth of tuition and fees for up to forty Puerto Rican students who wished to continue their own education on the mainland. Students commented on Archbishop Gomez’s background and thoughts on this ongoing situation. Senior Justin Andreani hopes the address won’t be too political. As a peek at the comment section of the university’s Instagram post about the announcement might suggest, there are some seniors who feel let down about the pick. Students had spent the past few weeks guessing who the university could have invited, including names like Gary Sinise and Joe Biden. “Because of the delayed announcement of this year’s commencement speaker, students had hopes of a large name speaker that required extra time to confirm,” Howard said. Gomez will speak the morning of Saturday, May 12th outdoors on the east steps of the Basilica, weather permitting.